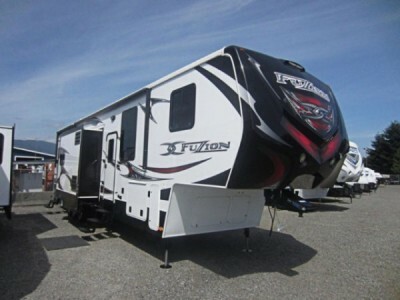 2013 Keystone Fuzion FZ412 Fifthwheel. 41ft toy hauler. Sleeps 9 or more people. 3 slides. With a 12ft Garage. Excellent condition. Large double door fridge. 2 Electric awnings. Area for washer and dryer. Gas tank for fuel for toys. Generator. Two doors front and back. Fire place. Lots of storage. Please call 250-319-3799 to view. 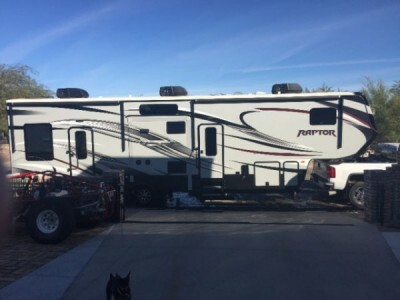 2014 Keystone Montana 3155RL Fifthwheel + Lot Combo. 35 feet long, like new condition. This Beautiful unit has 3 slides and is truly luxurious. Lots of interior storage, large double fridge and freezer, washer & dryer hook ups in master closet, Hide a bed in living room, electric fireplace with remote, Self positioning bell satelite system, 3 TV's including outdoor entertainment centre, 6 position self leveling jacks, King size master bed, lots of outdoor storage, 11880 lbs dry weight, 2 large awnings with led lights, separate A/C for bedroom and living room. unit is currently sitting at Lac La Peche seasonal site, 20 mins. north of Blaine Lake, 1 hour from Saskatoon, trailer can be left on site for 2017 as lot fees are paid, your choice to leave on seasonal site or remove the camper. 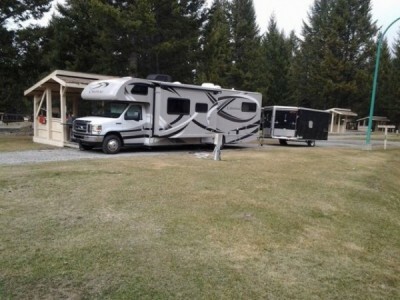 unit comes with septic tank on lot. 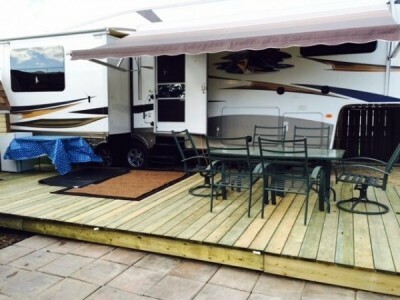 Lac La Peche is a small private campground on a beautiful quiet lake with 2 beaches. Selling to purchase a family cabin. 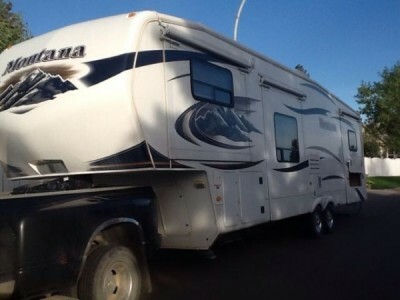 Please email or call 306-229-4629 Cam for more info or viewing. 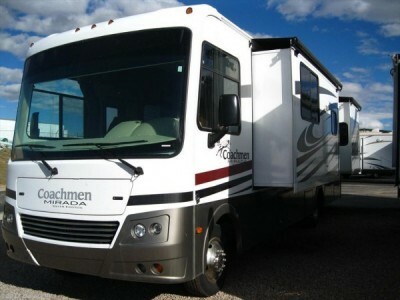 2013 Coachmen Mirada 29DS Class-A Motorhome. 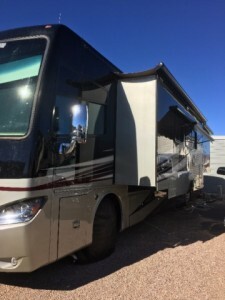 Double slide Class A, rear queen bed, vanity wardrobe, TV, linen closet, shower, pantry, fridge and range, microwave, double sink,booth dinette slide, couch with over head cabinets. Sleeps 6. Electric awning & step. Auto sat dish, electric levelling jacks. Remote heated mirrors. Loaded up used very little. Pictures on request, located in Swift Current. Please call 306-741-8216 to view. 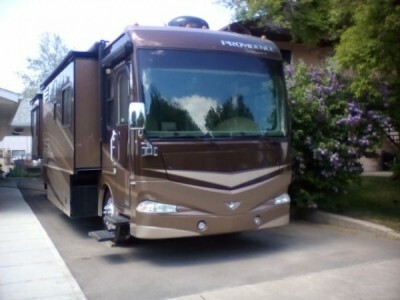 2008 Fleetwood Providence 39L Class-A Motorhome. with four slides, 6-speed automatic, 360 Cummings, tracvision dish, two air, two furnaces, back up camera, washer dryer combo, convention microwave,thee burner stove with oven, side by side frig, pull out island. Lots of storage large bedroom, very nice motorhome. May take trade on rental property in Swift Current, Sk. Please call 306-750-9924 to view. 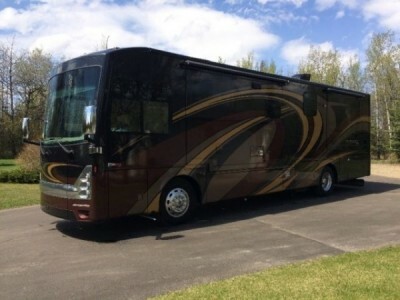 2006 Country Coach Allure 430 Class-A Motorhome. Allways stored in heated shop when not using 400 cummins, side rad. Independent front suspension, auahot. Water system and heated floors,35000 miles. Heated massage front seats. Please call 250-470-7425 to view. 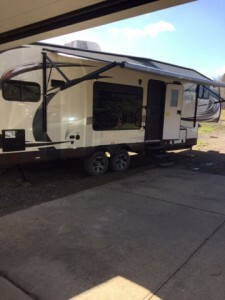 2014 Jayco Eagle 285RLTS Touring Fifthwheel. 28.5 foot, in excellent/new condition. Used only a total of 3 times in 2015. Has 2 slide outs, one queen bed and a couch pull out queen bed. We bought a lake house and no longer need it. For more information please call Doreen at 780-668-9091. 2000 Monaco Diplomat 38Ft Class-A Motorhome. 6 speed Allison transmission. Cummins Diesel engine 5.9L 315 hp. Back-up camera. 7500 watt Onin generator. 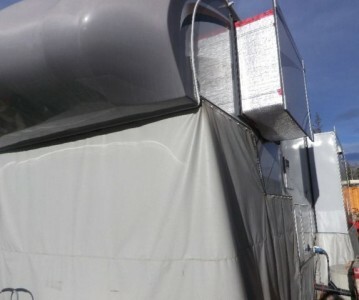 2 roof air conditioning units and solar panel/inverter. Large single slide. New windshield with window covers. Water filter system. CB radio, DVD and roof satellite dish (Shaw) with flat screen TV. 2 Door fridge and freezer with ice maker. Convection microwave oven. Washer & dryer hook-up. Please call 403-815-1208 to view. 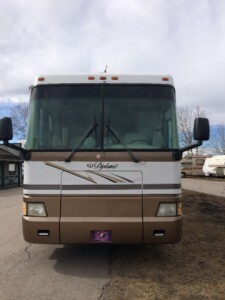 2006 Triple E Commander 32Ft Class-A Motorhome. This condo on wheels is definitely your home away from home and has all the bells and whistles! V10 motor, 32 FT with 2 slides. Please call 250-782-2757 to view. 2014 Keystone Alpine 3450RL Class-A Motorhome. We travel in great comfort and luxury in this unit. It would be ideal for a permanent spot vacation home.40 ft long 100 inches wide. 4 slides 6 hydraulic automatic stabilizers. Fire place leather chairs and sofa two door fridge and freezer, convection micro 2 air 1 is heat pump tons of cupboards King bed two door bath w shower & outside shower 2 TV and prep for 3rd. preped for washer dryer. preped for Genset built in vacumm 4 steps lighted electric awning and one manual comes with roof auto Sat system and three controllers. bar fridge in basement.. Weber BBQ 4 chairs all elec water and sewer hook ups, surge protector ready to move or live in. I will relocate unit within reason open to Offers. Please call 250-924-4545 to view. 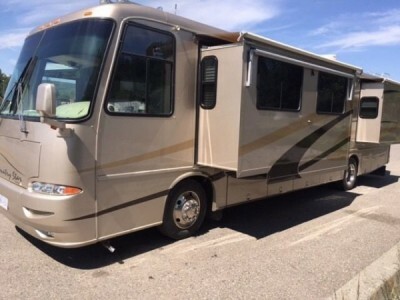 2003 Newmar Kountry Star 39Ft Class-A Motorhome. Beautiful condition. New satellite dish. New large backup camera. All new batteries. All oil, fluids and filters changed. 8,000 kw generator. 3 slides. All new tires on motorhome (6). Please call 250-960-8230 to view. 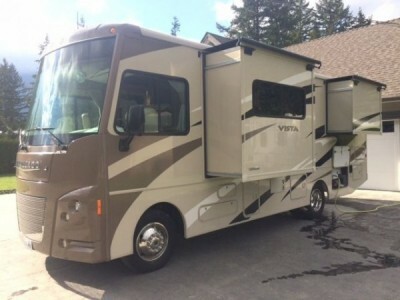 2015 Winnebago Vista 27N Class-A Motorhome. Added Air bag suspension, compressor, and wireless in cab remote control. Added, upgraded Michelin XTR and XTE tires plus two spares (plus includes stock tires). Added transferable EXTENDED long term warranty. Added trailer brake controller. Includes Hydraulic Automatic Leveling Jacks. Automatic electric front step. Three slides. Telescopic front bunk. Hot water while you drive. Electric start Onan generator. Purchased new for $130,000. over $10,000 in extras and extended warranty. We just do not use it enough. Please call 604-850-4287 to view. 2015 Forest River XLR 380 AMP Toy Hauler. Purchased New September 2016. 43ft overall length, 12ft garage with fold down tear down ramp/party deck combo, 3 Slides. 6 Point, hydraulic auto-level system. 5kW Onan Generator, dual 30# LPG tanks, remote fuelling station, Dual electric awnings w/LED strips. LED interior accent lighting. Large LCD living room TV, DVD, CD surround audio- garage has its own player too. Electric fireplace. Stainless steel appliances, 12cu.ft dbl door fridge. Dyson cordless vacuum. Hook-ups for washer/dryer. 2nd Bathroom in garage. Private upstairs bedroom. 2 Sofas, seat 7, each all recline. Loft for extra storage or bed for extra person. 2 Beds in garage. Serious inquires only. Please call Chris 250-264-2050 to view. 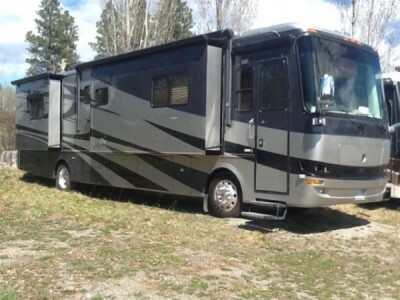 2007 Thor Mandalay 39E Class-A Motorhome. This Motorhome is exceptional!. 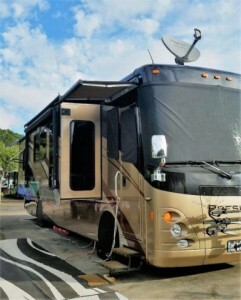 2007 39.5 class A Motorhome, Presidio by Thor Motor Coach, 4slides, 330 Mercedes Diesel on a freight liner chassis, Air Bag Suspension, Exhaust brake, Shaw Direct Satellite, Automatic leveling system, Washer Dryer, fireplace, built in vacuum, Queen bed in bedroom, hide a bed in living room and MANY MORE FEATURES. Please call 250-717-1643 to view. 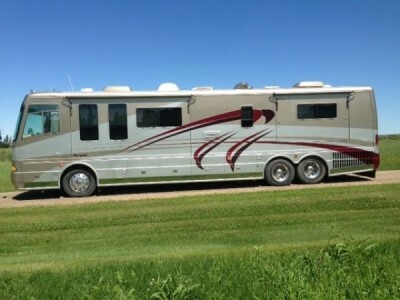 2014 Thor Chateau 31A Class-A Motorhome. Letting go. Approx.10,000 miles, grey/ black/ white exterior with dark tinted windows. Bunk model plus two Queen beds, one in the back as well as the cab over. Dinette and jackknife beds make for sleepers as well. 10 person. 2 slides with awning toppers, lots of storage, back up and lane change cameras, lots of seat belts, full stove/ oven / microwave. Easy to drive and pull with. Built in generator w low hours. Too many options to list. Located in Lacombe. Please call 403-598-4775 to view. 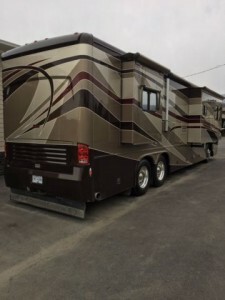 2015 Forest River FR3 25DS Class-A Motorhome. Brand new RV in mint condition. To many options to list. Extended Warranty to 2022 fully transferable. Please call 250-263-8667 for more details. 2006 Holiday Rambler Ambassador 40PDQ Class-A Motorhome. 54 slides, 330 Cummins diesel pusher. Automatic. Roadmaster chassis. immaculate, new front rubber 275/70R22.5...shaw/direct automatic satellite. Onan 8000 diesel generator. (677 hrs). Full basement with pullout tray. Please call 250-427-2210 to view. 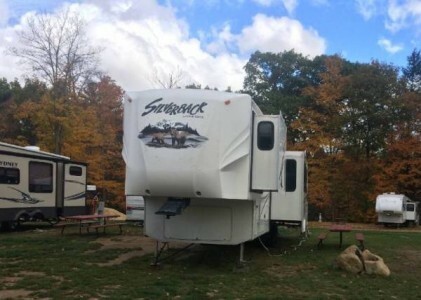 2012 Forest River Cedar Creek Silverback 135QBY Fifthwheel. outside kitchen/fridge, sleeps 10, power awning, 4 slides, leather sofa bed, washer/dryer hookups, ac/stereo/32" Jensen tv, fantastic fan, 1 1/2 baths, cathedral ceiling, built in vacuum, microwave, 2ext. doors, lots of storage, excellent condition. Please call 780-203-4462 to view. 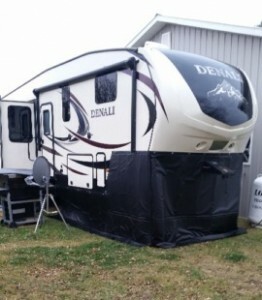 2015 Dutchmen Denali 307RLS Fifthwheel. Purchased new in summer of 2016. Rear living layout, triples slides, and a kitchen island. Denali Summit Package. All weather thermal package. Denali Premium Package. Luxury Package. Power Awning with LED Lighting. Power Stabilizer Jacks. Dual Pane Safety Glass Windows. Fireplace and more! COBBLESTONE Interior. 35.4 ft. Dual Fridge/Freezer. Lino Flooring. 1 year, factory warranty and extended 6 year warranty. It also comes with the custom fit insulated skirting kit, a 60 gallon external plastic fresh water tote with 12 volt pump, as well as a 25 gallon black water tote. I lived in this trailer thru the winter and had no issues what so ever. For the right deal I will also throw in the fifth wheel hitch. TAKING A HUGE LOSS. Please call 403-348-9703 to view. 2017 Thor Tuscany 36MQXTL Class-A Motorhome. Save the GST! Like New. Only 8000 easy miles all pavement. 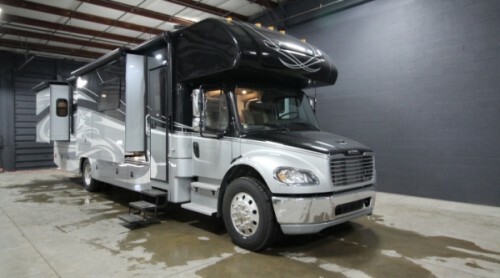 37ft long, 4 slides, 3 flat panel TVs, fireplace, satellite TV, 360HP Diesel pusher. Washer and dryer + 6 year extended warranty. This has been a great unit but we are selling so we can pursue a business opportunity. Please call 403-895-2000 to view. 2015 Dynamax Force 37TS Class-C Motorhome. The FORCE is built to last with some of the most luxurious appointments in its class. At Dynamax, legendary product integrity and customer loyalty have combined to build a powerful brand. Now a new generation of RVs are coming of age – delivering the best of both worlds. Casual, easy living interiors with fresh decor options are designed to maximize comfort and value. This unit is Mint and barley used ready to roll. 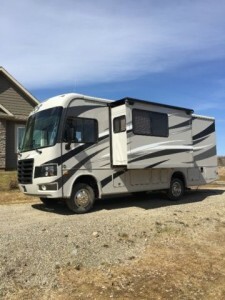 Used once a 37 foot Dynamax on a Freightliner chassis 3 slides with all the options, Sat tv, washer, dryer, diesel generator, electric awning, led lighting, solar panel. Please call 250-567-0028 to view. 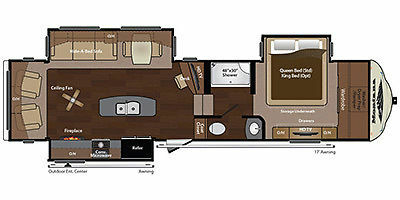 2013 Tiffin Phaeton 40QBH Class-A Motorhome. FOR SALE 250,000. adjustable kingsize bed, two bathrooms, shower, double sided fridge with freezer and icemaker, 3 tvs, leather furniture, awnings on all 4 slides plus two shade awnings. all widows have awnings as well. has ac adjustable settings in living area and one in the bedroom. Dishwasher and convection oven/microwave lots of cupboards for inside storage and as well as underneath the bus. We have added a motorcycle lift (electric over hydraulic valued at over 12000) and it set up to tow vehicle at the same time. This and much more, can be seen in Fort St. John, BC. Please call 250-793-6069 to view. 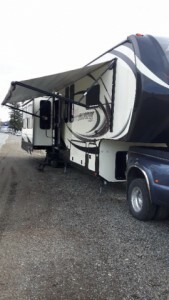 2013 Forest River Thunderbeat XLR Fifthwheel. Sleeps 8 - Queen bed in Master, 2 queen bunks, Queen air bed in the couch. 2 slides - on in the Master bedroom. Closet and the couch. 5500 Onan Generator CARB EVAP - with fuel station. 18 ft Electric Awning. Satellite HD Ready Prewire. 12 ft. Garage with - Retractable Hid - N - Screen /Checker plate on the walls. Washer/ Dryer prepped in. 100 gallons fresh water. 12 gallons gas/ electric DSI water heater. 16" Spider Alluminum wheels. 15k BTU Air conditioner. Mobile fuel station w/ fuel tank - 30 gal. Bunk beds / with lower set that turns into a dinette. Rock Star Entertainment center - 32in LCD TV, Kicker 300w Amp. 10in subwoofer & 4 speakers AM/FM/CD/MP3/DVD Stereo external 110v, HDML, gaming connection, TV/ cable/ Satellite hook up. NOT SMOKED IN. NO GST. Please call 780-719-6087 to view. 2015 Keystone Sprinter 316BLK Trailer. 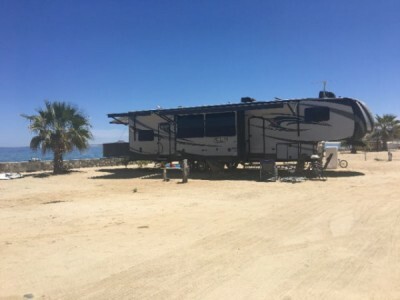 Beautiful family trailer, features: large island with double deep sink, full size fridge, microwave, loads of storage, 43" flat screen with sound system, outdoor speakers. The trailer comes with 3 pull-outs...the dining area, the kitchen area and a back room with 3 bunks-beds and a full size couch that converts into a full size bed also includes a multi-use charging station and a TV portal. Outside entertaining includes outdoor kitchen with fridge, stove, sink and tons of storage...BBQ attachment also attaches to the kitchen. Nice big automatic awning with lighting. Two door entry main door into the kitchen and the other accesses the bathroom. Sleeps 10 people comfortably. Many more features worth a look! Only used for one summer in 2016 No Trades please. Free storage until you are ready for the camping season. Accepting reasonable offers. Please call 587-297-0356 to view. Must SELL. More pictures to come. 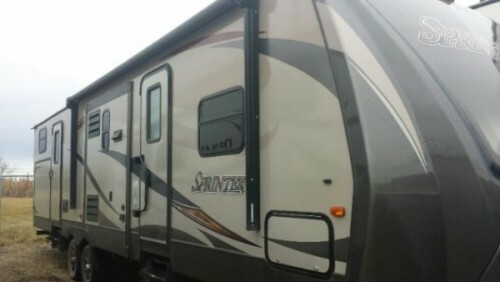 2011 Keystone Montana Fifthwheel. Five power push outs all with power awnings front and back door flat screen Yvette, fireplace, queen sofa bed, double sink, double fridge and freezer microwave stove and oven, build in vacuum dual propane tanks lots of inside and outside storage, back bedroom with king bed and wall closet, full size shower hooks up for washer and dryer .fully winterized one piece rubber roof backup mirror for easy docking only used a few times. Like new in excellent condition. To view call 780-904-1180. 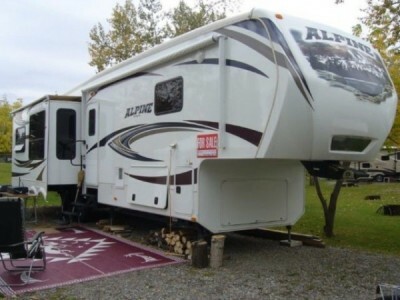 2013 Keystone Alpine 3555RL Fifthwheel. 4 Slides, 4 door Fridge, 3 Burner Stove, Oven Conv. Micro Wave. 2 Flat Screen TV's, Kitchen Island, Elec. Fireplace, Light Tan leather Air Bed Couch. 2 Rocker Recliners, Linen Closet, King Size Bed, W/D Hook-Up, 2 - 6V Batteries. Used In Summer Only. No Pets, Non smoker, Never Cooked In. In Brand New Condition. Price Now Reduced. Please call 403-437-0677 for more information. 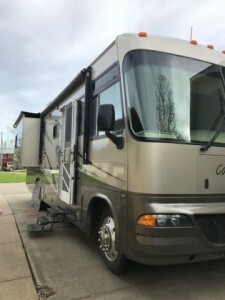 2014 Palomino Columbus 320RS Fifthwheel. 36.9ft in length, 3 slides, large living room kitchen area with floating island, 40in HD Smart TV in living area and 30in TV in bedroom. Central vac, King size bed, full shower, lots of cupboards, closets, storage, W/D hookups, immaculate condition and lots of extra upgrades. Original owner since new. Rarely pulled. Set up on an RV lot. Extended warranty until September, 2020. Please call 780-622-7123 for more info. 2012 Forest River Cedar Creek 30RL Fifthwheel. Fully loaded with power jacks three slides Center Island Mint Condition. Please call 780-232-8711 for more information. 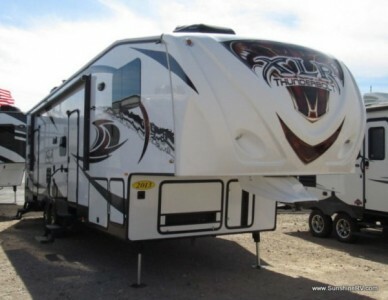 2012 Heartland Cyclone 370C Toy Hauler. 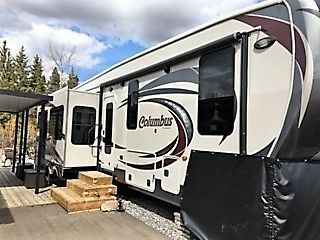 Living in 5 years in Hinton AB,Tri-axle, 43ft, 3 hydraulic sliders, fabric skirting, rear axes on stands, covered tires, cargo are 12ft, with ramp and side entry, electric queen bed w/convertible sofa, Onan Gen set, heated floors, A.C, built in vac, loft with 2 single beds, master bedroom with queen bed, TV, DVD, DC players, counter top oven. chest freezer, upright vacuum, updated LED lighting, hot water tank, battery, queen high density foam mattress, to A/C and furnace, includes leather couch with recliners, swivel recliner in living area, extended warranty. Please call 780-817-6897 to view.